I n these lush, green lands, tales of feuding dynasties hide behind crumbling Gothic architecture; ghostly tombs predate the pyramids; and knights, kings, monks and Vikings loom large in incredible stories. Learn the stories of a place and you'll come to understand the soul of its people. From ancient high kings to modern day poets, saints and scholars to ramblers and fishermen, Ireland's Ancient East pulsates with legendary tales. 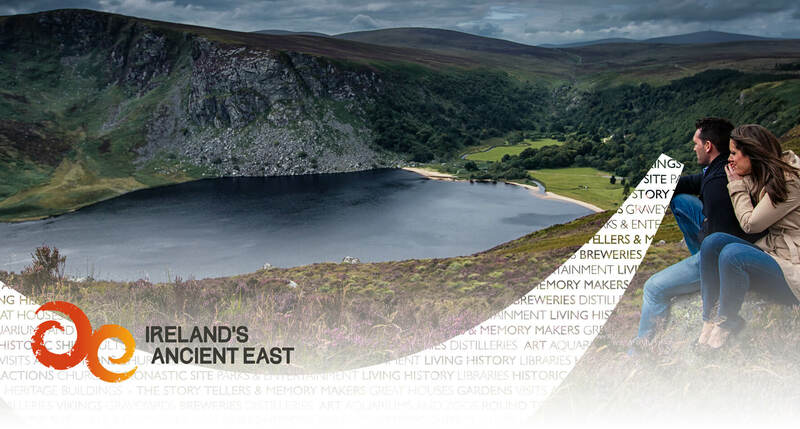 Ireland’s Ancient East is an exciting visitor experience that will transport you from the Boyne Valley in the North East, south through medieval Kilkenny and Viking Waterford, and onward to beautiful East Cork – with lots in between! Ireland’s Ancient East is crammed with wonderful, quirky things to do for the whole family. Whether it’s exploring the decks of the Dunbrody Famine Ship or getting behind the Scenes at National Sea Life, Bray and discovering all there is to know about marine phenomena in the natural world there are a wealth of unique experiences waiting to be sampled. Come and explore sea life and let our guides share the stories of the oceans of the world. At Sea Life Bray visitors get up close and personal with some of the oceans most fierce and friendly fish and sea creatures. We offer educational programs for school children of every age, feeding times are not to be missed and our behind the scenes tours give visitors a real insight into Aquarium life. The tour takes you to the quayside of New Ross, where the Departure Exhibit will set the scene of famine emigration. Waiting for you is The Dunbrody, a 3 masted barque that will be your home for the month long trip to New York. On board tour guides will explain the harshness of conditions on the voyage. Costumed performers play the roles of famine emigrants, and bring the experience to life. At the end of the tour our Arrivals Hall will show you the fate awaiting those who survived the trip. It would take generations of hard work, and loyal service, before the Irish community were to become an accepted and respected part of North American society.